It is no secret that the United States needs reliable allies in the Middle East. Israel, our closest ally in the region, stands largely alone in its long standing and reliable friendship. Israel is a free and democratic state that shares our values. Unlike Israel, most Middle Eastern countries are not democratic, their leaders oscillate and prevaricate on key US interests in the region, and if those leaders were toppled, any replacement government would be only more hostile to the US and our values. Yet there is one case where this is not the true: Kurdistan. The Kurdish ethnic minority in Iraq has long been friendly to the US. They desire a prosperous and democratic state and they like to promote the kinds of values, including women’s rights, which Americans are eager to see promulgated in the oppressive region. There is just one sticking point: there is no Kurdistan. For the United States, helping to create one could lead to a modern, democratic, and US friendly state in the centre of the Middle East. It will also mean conflict with allies and enemies alike. As the First World War drew to a close in the early 20th Century, the Ottoman Empire crumbled. The resulting Sykes-Picot Agreement originally called for the creation of a Kurdish state. Turkey’s military victory over Greece in 1919 made this prospect impracticable. Turkey continues to be hotly opposed to Kurdish independence. Turkey is home to a large ethnically Kurdish minority numbering some 15 million who occupy a significant geographic corner of the country. There has been a history of terror and violence as Kurds have risen up to oppose Turkish rule and the Turkish government has responded in kind. Yet, the trends in Turkey are not promising in several areas. 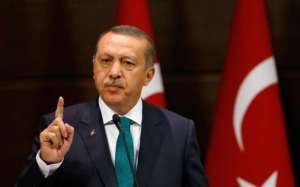 Turkish President Recep Tayyip Erdogan represents a popular Islamic party. In response to a recent and suspicious coup attempt he has persecuted journalists, professors, and many others who oppose his increasingly despotic rule. The trend away from western democracy and toward Middle Eastern theocratic tyranny is unwelcome in a country that is a member of NATO and a longtime US ally. A second trend has to do with Turkey’s birthrates: Kurds have more children than ethnic Turks. If current trends continue, Turkey may have an ethnically Kurdish majority by the middle of this century. When one takes both of these trends into account, it would seem that the United States could hedge its bets by embracing Kurdistan now. This will mean a confrontation with Turkey for certain, but that is coming one way or another. Turkey has promised to blockade Kurdistan if the region becomes independent and has strongly implied that Kurdish independence will mean war. Turkey has frequently bombed Kurdish strongholds in Syria that were engaged in the fight against Islamic State (ISIS – Daesh). To head off a Turkish attack on the Kurds, US policymakers should make it clear that any action against Kurdistan by Turkey will cost the latter its membership in NATO. Iran also has a large Kurdish minority of some 10 million clustered in the country’s northwest along the Iraqi and Turkish borders. Iran is likewise threatening war if the Kurdish region in Iraq gains independence. It is possible that in the future Iranian Kurds may seek escape from the oppressive, fanatical, and backward regime in Tehran by joining themselves to a free Kurdish state. For the West, this would be a welcome state of affairs. The Kurdish ethnic group has a long and storied history in the region. Saladin, who liberated Jerusalem from the Crusaders, was Kurdish. They have their own identity, language, common history, and geography. What the Kurds have not possessed in the modern era is self-determination, and it is a century too late in the coming. The Kurds have for many years been maintaining security in their region and looking out for themselves. 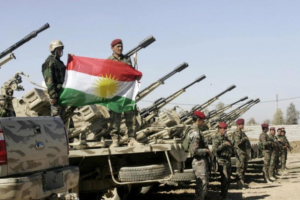 The Kurdish militia, the Peshmerga, have held off Sunni insurgents, Al-Qaeda, and Islamic State in turn. Beyond their hostile neighbors, it has been noted that many internal challenges face the Kurds in the efforts to establish a free state. The Barzani family holds the nascent country’s Presidency, Prime Minister, and political leadership. This family also owns a number of the regions large private enterprises. Kurdistan will have to look beyond one-family rule to be truly democratic. The Kurds also have a plethora of monolithic political parties, many of them very hostile to the others. While the Kurds like to speak often of western values like women’s rights, the country’s population still holds a largely provincial view on these matters. The Kurds can, nevertheless, overcome these challenges especially with the help of the United States. Adding Syrian Kurds to a free Kurdistan would help to increase pluralism and offer a larger geographic area to the nascent state, which would then boast a population of approximately 11 million. While Turkey, to the north, and Iran, to the east, oppose Kurdish independence, when we look to the south and west of the Kurdish region the vital role of the Kurds becomes much more visible. As Syria descended into a bloody civil war that spilled over into Iraq, a state already on the verge of implosion, the Kurds stood as a beacon of stability and reliable resistance to the region’s bullies. The Kurds are free of Iranian influence, unlike the weak, faltering government in Iraq to the south. The Iraqi government huddled and quaked helplessly in fear as Islamic State thrust deep into its territory, at one time threatening the capital Baghdad itself, while the Kurds consistently stood their ground and beat back repeated assaults. The Kurds are also free of influence from the tyrannical and murderous regime of Bashar Al-Assad who is backed by Russia and Iran. The Kurds have a long history of receiving help from Israel and are among the few groups in the region who are favourable toward the region’s only stable democracy. Syria and Iraq are failed states, Turkey is descending into Islamist tyranny, and Iran’s oppressive influence on the region is expanding. The Kurds can provide valuable momentum in the centre of the action to reverse these trends. As Richard Haas, President of the Council on Foreign Relations and a former Bush Era State Department official recently wrote: “The opposition of an illiberal Turkey, an imperial Iran, an Iraq heavily influenced by Iran, and a Syrian regime that owes its survival to Iranian and Russian intervention strengthens the geopolitical argument for Kurdish statehood.” If we measure the case for or against Kurdish independence by those who oppose it, we can arrive at only one conclusion: Kurdish independence would be a major boon to US interests and to peace and stability in the region. In the recent referendum, over 70% of registered voters turned out in the Kurdish region of Iraq to vote on the question of independence; 92% voted in the affirmative. Imagine, a relatively progressive and modern state in the centre of the Middle East that is staunchly pro-US and pro-Israel. Imagine that country, rich with oil and natural resources, prospering and becoming a powerful regional player. Imagine a powerful military force in the Middle East, armed with a great resolve for self-defense accompanied by US weapons, which could serve as a buffer against fanatical terrorist groups like Islamic State. What is that worth to us? It is certainly worth our political support, financial aid, and military aid. It is worth upsetting our erstwhile and increasingly unreliable ally, Turkey. It is a policy that will, in the long run, bring many benefits to the United States and will promote our interests in the region. America needs to back Kurdish independence and help the new nation to its feet. 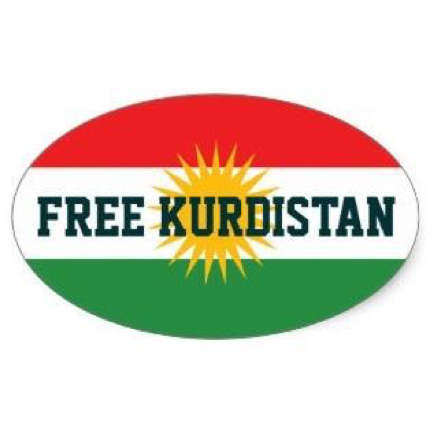 In other words, a free Kurdistan is good for world peace; and it is nobody’s problem but the Turks’. There is NO doubt that the Kurd’s are American allies. During the occupation of Iraq, there only one American representative was necessary to interface with the Kurd’s. I agree, Turkey is going down the “Islam” tube and we should provide recognition and SUPPORT to Kurdistan NOW. Good friends are hard to find — especially in the near east.